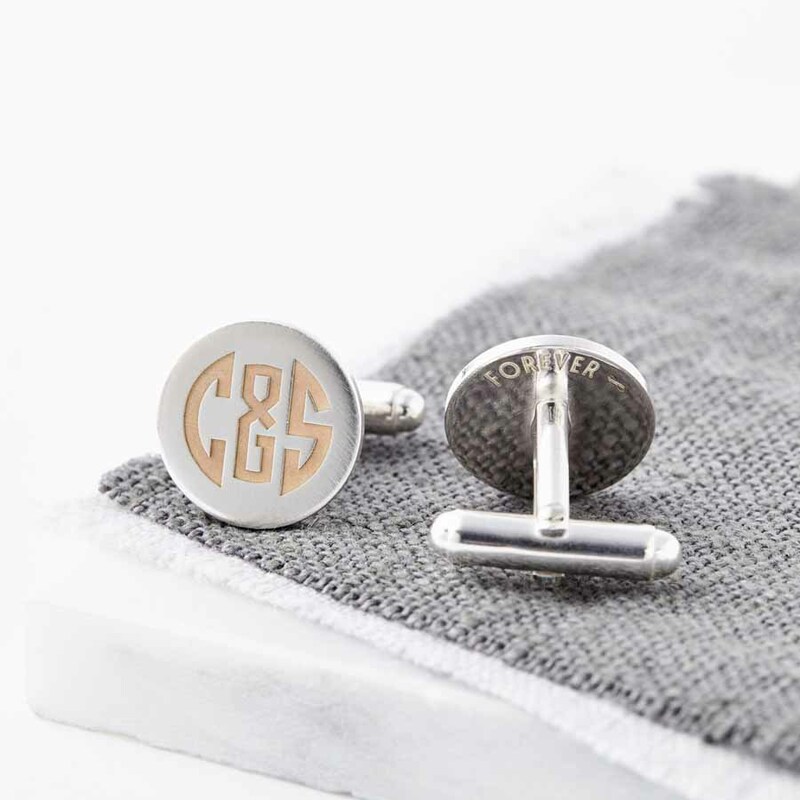 Stunning personalised sterling silver cufflinks with 24ct gold accents featuring an Art Deco style monogram. 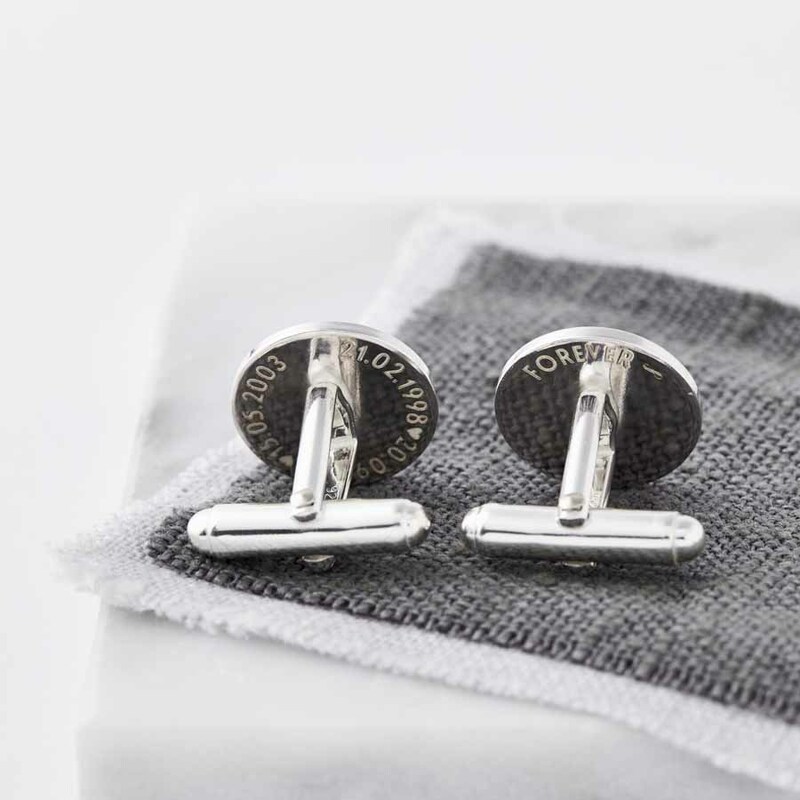 A hidden message can be added to the back of the cufflinks – this can be something between just you and the wearer. 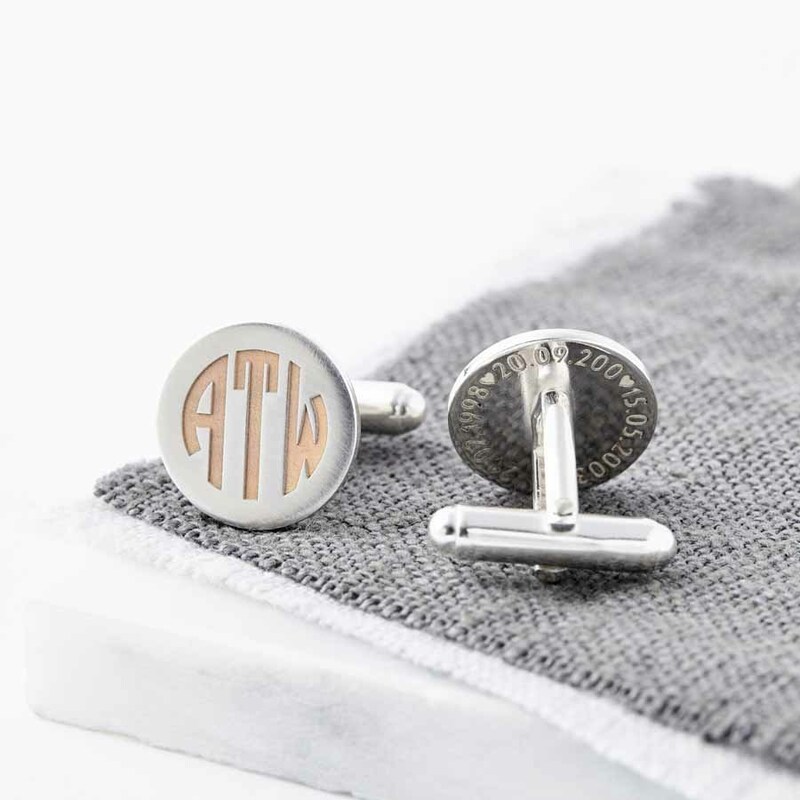 We can create the monogram using two or three initials or two initials and an ampersand “&”. Perfect as a special Birthday, Anniversary, Christening gift, or as a gift for your groom on your wedding day. 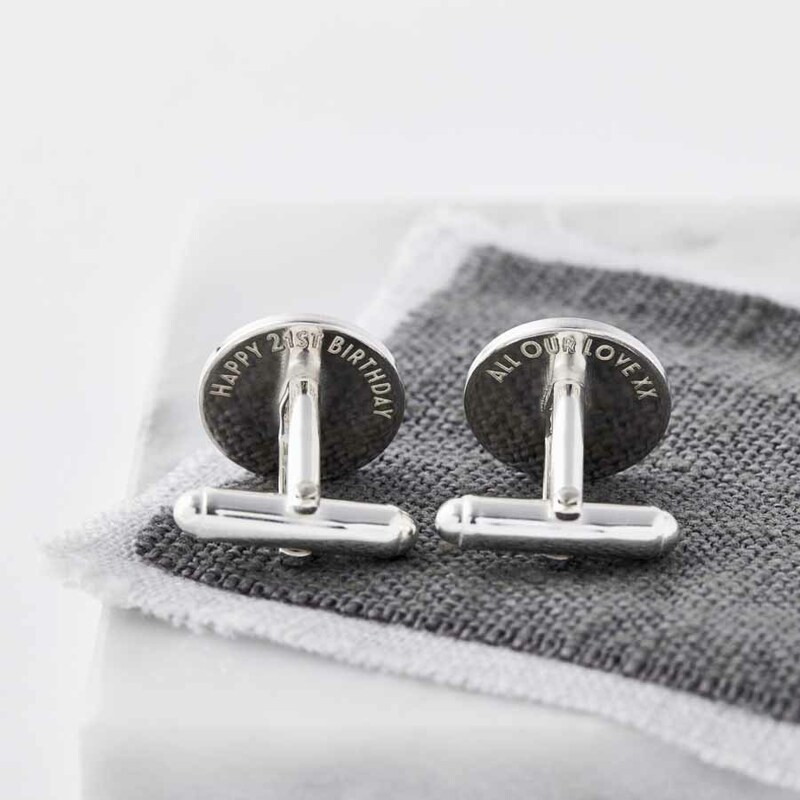 These also make a wonderful Father’s Day gift.